Written by and starring artist in residence Jessica Walker, Pat Kirkwood Is Angry brings to life one of Britain’s greatest, but now almost forgotten, wartime variety stars. 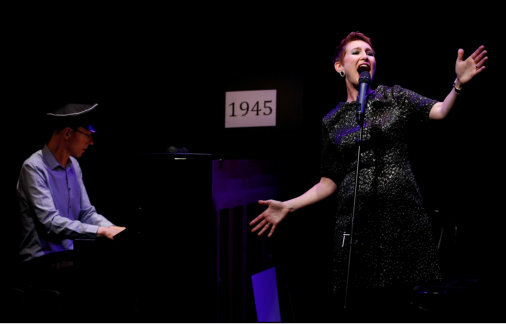 In this onewoman show about the legendary singer and actress, we follow Kirkwood’s career as she became a household name with songs like Bewitched, Bothered and Bewildered and It Was Just One of Those Things. Following rumours of an affair with HRH the Duke of Edinburgh, however, Kirkwood was haunted by scandal. Pat Kirkwood Is Angry relives her turbulent life through some of the 20th century’s most beautiful popular song.